If you are looking for information on the Spicy Pickle franchise business opportunity, Spicy Pickle franchises or Spicy Pickle franchising, then you have come to the right place. The hallmark of a Spicy Pickle restaurant is quality, service and an enjoyable atmosphere. Spicy Pickle restaurants serve high quality meats and fine Italian breads, baked fresh daily, along with a wide choice of eleven different cheeses, twenty one different toppings, and fifteen proprietary spreads to create healthy and delicious sub sandwiches and panini with flavors from around the world. There are over 17,000 delicious sandwich combinations for you to create, along with 9 specialty panini sandwiches that have become favorites of our customers. We also boast the world's best spicy pickle. 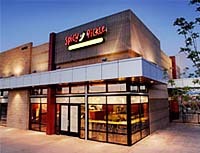 Spicy Pickle serves the fast growing "fast casual" market where customers demand more than "fast food" but without the price point of "casual dining". The history of pickles stretches so far back into antiquity that no definite time has been established for their origin, but it is estimated to be over 4,000 years ago. 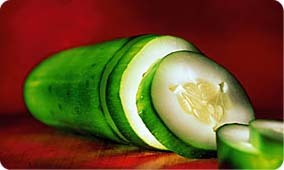 In 2,030 B.C., cucumbers native to India were brought into the Tigris Valley. There, they were first preserved and eaten as pickles. Pickles are mentioned at least twice in the Bible (Numbers 11:5 and Isaiah 1:8), and history records their usage over 3,000 years ago in Western Asia, ancient Egypt, and Greece. Not at Spicy Pickle. Here, we believe not even something as otherwise insignificant as a pickle should be prepared in a boring way. 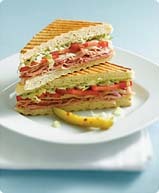 The same holds true for our panini, salads, subs and soups. From our unique flavored mayos to our choices of delicious Italian Artisan breads, our fresh toppings to our award-winning, chef-inspired recipes, you'll find eating at Spicy Pickle to be anything but ordinary. Spicy Pickle is looking for experienced restaurant operators who also have the financial ability and marketing expertise to develop territory. Spicy Pickle restaurants are in relatively small footprints and can, when properly developed, operated and marketed, produce attractive returns for the investment. Spicy pickle has earned a reputation for serving delicious culinary inspired food that caters mostly to the daytime working populations in a fast casual atmosphere. We are looking for franchisees who have earned a similar reputation for success in their hometowns and are looking for this type of opportunity. If this describes you we encourage you make application and set up a visit to our Corporate headquarters. Be prepared to present a business plan for the roll out of Spicy Pickle restaurants in your chosen development area. We have in place the infrastructure to assist you from initial financial projections to site selection and lease negotiation to build-out assistance, training, grand opening and ongoing marketing and operational support. We are experienced franchisors and restaurant operators and are looking for franchisee partners to help expand the brand.